Enjoy fine living at The Mirage Villa Apartments were customer service comes first. We offer 1 and 2 bedroom apartments. We have card operated laundry facilities on every floor and balconies or patios with select units. 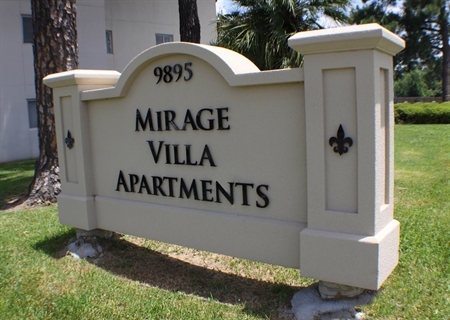 Conveniently located on the bus line, Mirage Villa is close to shopping, dining and entertainment. A professional maintenance and office staff are always there to make your stay as comfortable and convenient as possible. We love our residents!